Last week I purchased a Casio PRW3000-1A. 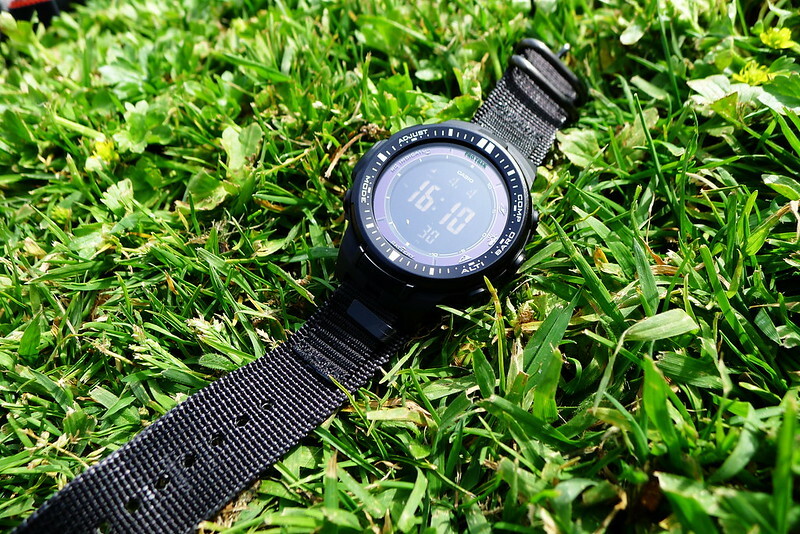 The watch is part of Casio’s Pro Trek line, which replaced the old Pathfinder series. The watch combines solar power and atomic timekeeping with the features of an ABC (altitude, barometer, compass) watch – and does it in a fairly compact package. The Pro Treks come with a resin band, like the G-Shock series. I prefer nylon bands for both style and function. 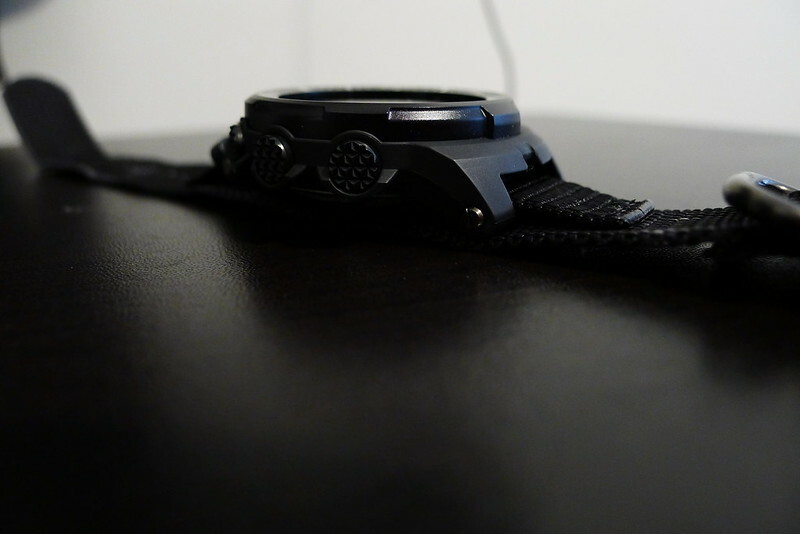 Fortunately the band attaches to the watch via a hollow tube and two screws, making it easy to replace. Unlike the G-Shock watches, it does not require an adapter. Unfortunately, the lug width on the PRW3000 is only 16mm. I bought a 16mm Marathon band to try out and, while functionally it satisfies, I don’t think that such a skinny band compliments the look of the watch. The solution was simple: cut off a piece of the 16mm Marathon band and sew it onto the 24mm Maratac Zulu band that I ran on my G-Shock. It was a quick hack, and gives me the best of both worlds: a good watch and a good band. This post was published on 2015-04-04 . It was tagged with gear, edc.